This paper develops Markovian-based models for determining the optimum process means with the consideration of an acceptance sampling plan in a serial production system. 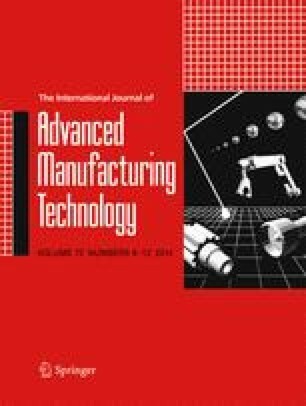 This paper studies a production system where products are produced continuously with specified lower and upper specification limits for each stage in the production system for quality assurance purposes. Considering the inherent variability in production processes, the quality characteristic(s) of a product might fall below the lower specification limit, resulting in scrap cost, or above the upper specification limit, resulting in rework costs. To study the dynamics of this problem, this paper first develops a Markovian-based model for the optimum process target level for a single quality characteristic assuming a single sampling inspection plan for both a single- and a two-stage production system. Then, the proposed model is extended for dual quality characteristics that are dependent for single- and two-stage production systems. Numerical examples and sensitivity analysis are performed to investigate the effect of different system parameters on the expected profit and optimum process means. The results showed that both single- and two-stage production systems have convex function for the expected profit. In addition, the results showed that the optimum process means are slightly larger than the average of the specification limits. Finally, the correlation between the quality characteristics affects the expected profit significantly.